Most students of agriculture will tell you that if you want the best crop possible you need to start with certified seed or plants. Certification comes only after certified plants have produced potatoes on ground that has not grown sweet potatoes the past three years. While in the field growing, the plants are inspected on a regular basis and during the harvest the potatoes are inspected almost every day. While the potatoes are in the storage house, they are inspected again. When the seed are put in the beds for plant production, they are again checked to see if all procedures are being followed to prevent the spread of disease. The certification process in Tennessee is very difficult but when the Department of Agriculture sends us our certification certificate stamped SP-1, we are very proud. We are even prouder when we can send plants to gardeners that we believe are the very best. 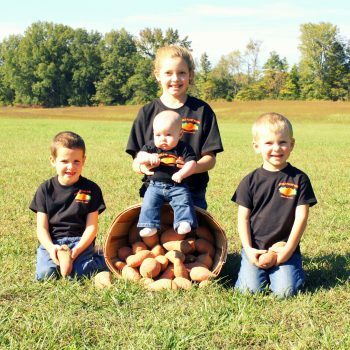 Certification may not be the only answer but it does show that our family is trying harder to grow the very best potatoes and plants. We grow our own plants. We exercise the greatest care to keep our varieties true to name and grade and hold ourselves in readiness at all times to replace, on proper proof, all stock that may prove otherwise than true to name or grade. In any event, our liability shall not exceed the original purchase price. There are no other warranties, expressed or implied as we have no control over soil, handling, planting or growing conditions. We specifically exclude any warranties of productivity or merchantability. If your payment was made in error, please contact us immediately and a refund will be processed using the same payment method used. If you have a question or issue regarding products or services you were billed for, please contact us within 30 days at (731) 648-5476 before paying your invoice. Due to the fact that we ship live plants, we do not accept returns. However, if you have a question or issue regarding an order, please contact us within 30 days at (731) 648-5476.